Hello people! For this post I'd like to share another Hello Kitty polish from H&M with you: I Love Candy. 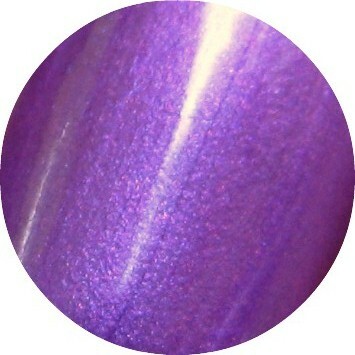 Normally I don't really have a thing for purples, but this polish just has something that makes me love it very much. I Love Candy is a vibrant, electrifying pink-toned purple shimmer (that's a lot of words...), though my pictures make it look a lot bluer than it is. This polish is actually a very subtle multichrome that shows hints of pinker purple and in the bottle there's even a bit of gold, but don't expect to see that on the nail. The formula was nice and it covered in two coats. i'll be going to H&M in about 2 months in montreal, i hope they still have HK polish! !